I’m a big fan of multiple-purpose items. I use them in my survival planning and training and I try to use them around the house as much as I can. Lately, my wife and I have been replacing the regular store-bought cleaning and deodorizing products with natural, dirt-cheap items (such as lemons or vinegar). I have to admit I am very pleased with the results. You wouldn’t believe how much money (and peace of mind) you can save by choosing this alternative, 100% natural methods. Wash your floor with this mix: 1 glass of lemon juice and 1/2 gallons of water. This will repel insects like ants, roaches, and even fleas. My wife loves spraying the house with deodorant, but I hate that artificial, heavy smell. Plus, it seems like it covers the smell, instead of eliminating it. So I tried a little trick I saw on TV: I peeled a few lemons, put the peels in a bowl and placed it on the table. Our living room smelled amazing, like fresh air with a light scent of lemon. Extra tip: When you turn on heating during the cold season, place the peels near the pipes. The room will be filled with lemon scent in no time. You can also use lemon juice to deodorize your refrigerator, your garbage disposal, and even the cat’s litter box. Just soak a sponge in lemon juice and place it in the fridge or near the litter box, and throw lemon leftover down the garbage disposal. Grease, sweat, wine and berry stains can be easily removed with lemon juice. First, wash the stain with soap and water, and then pour lemon juice on the remaining stain. Let it sink in, then rub salt on the area. Then, you can throw it in the washing machine. You’ll never see that stain again. 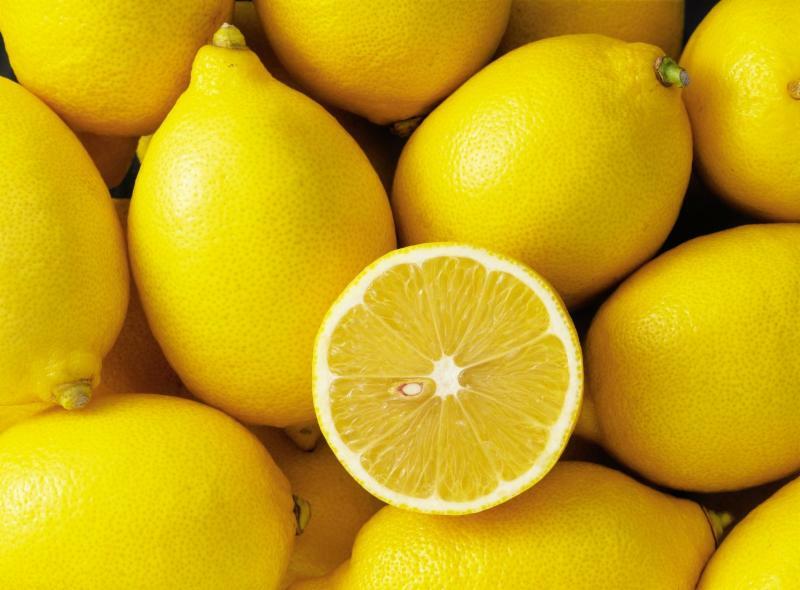 Every time you wash your clothes, add 1 cup of lemon juice into the washer. This is not just for stain removal, but also to help cotton shorts last longer, to make the fabric softer and brighter, and to give your clothes a fresh smell (yes, you can stop buying softener!). Bleach may be effective, but it’s also very aggressive and can easily ruin the fabric. Replace it with an equally effective mix of lemon juice and baking soda. Just soak your delicates in this mix for an hour and then give them a wash. The stains will vanish and the fabric will stay intact. Apply a mixture of lemon juice and salt (mix it until it looks like a paste) on brass, copper or stainless steel surfaces. Leave it in for a few minutes. Then soak a piece of soft cloth in warm water and rinse the paste off. Finally, wipe the area with a dry cloth. Don’t buy a special polish for metal surfaces. Rub half a lemon on the area to make stainless steel and aluminum shine again. You can use this on your survival knives, as well. Extra tip: If the area is still dull, mix lemon juice with salt or baking soda until you get a paste. Rub it on the area gently, to make sure you don’t leave any scratches. Certain fruits and vegetables tend to turn brown when sliced or left in the fridge for too long. You can treat apples, potatoes, cauliflower, avocados or lettuce with a bit of lemon juice. Here’s how to do that: When you wash or boil them, add a spoon of lemon juice to the water. Also, you can add lemon juice to salads and guacamole for extra freshness and extra taste. Brown sugar is very healthy and very tasty, but if you’re not careful, it can get hard and form blocks of sugar that are difficult to crack. To avoid this problem, put some lemon peel in the bag or box to keep it moist and soft. Did you know you can make firelighters out of lemon peels? All you need to do is bake them until they darken and then simply use them as firelighters. They work just fine and smell amazing, too. As I said before, adding lemon juice in the wash can give your clothes a nice, fresh smell. But you can do a lot more than that: Whenever you peel a lemon, let the peels dry, break them into smaller pieces and then place them in little sachets. Add some nutmeg or cinnamon sticks or whatever spices you like and then place the sachets in your drawers or in your closet. This way, your clothes will keep the fresh scent. Unfortunately, not many people know of this trick. Instead of spraying your garden with toxic weed killers, you can “water” it with lemon juice. Those nasty weeds will be gone before you know it. This is something my grandmother used to do. Whenever she roasted chicken, she’d rub lemon juice all over it and placed lemon slices right on top of it. It tasted delicious and it was always amazingly tender. It melted in your mouth. Extra tip: You can also add spices and herbs to the lemon juice for even greater taste.